Before you get to business school, you’ll need to make a choice: should I take the GMAT or the GRE? Today, our friends at The MBA Exchange explain what factors you should consider that will help you make the best decision! All things being equal, the GMAT is the preferred choice for demonstrating commitment to and preparedness for a top MBA education. B-schools are more familiar with the GMAT. And, it conveys that the applicant is focused solely on earning an MBA rather than some other master’s degree. If you graduated from a top-tier college with a degree in business or economics and a GPA of, say 3.7 or higher, then you have more flexibility in deciding between the GMAT and GRE. You don’t need to “prove” your ability to handle relevant, rigorous coursework. 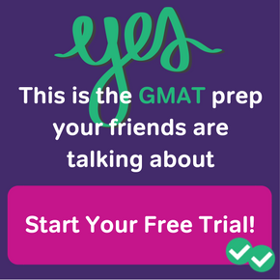 However if you went to a lesser-known college, studied a more qualitative discipline and/or have a GPA closer to 3.0, then you’ll probably want to go with the GMAT as evidence of your competence and confidence level for business school classes. 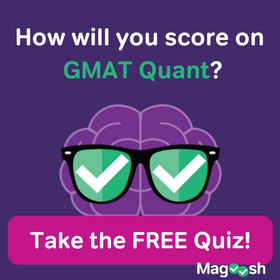 If you’ve had 4 or more years of experience as a financial analyst or brand manager at a well-recognized company, then the added value of taking the GMAT is less significant. You’ve already demonstrated your comfort and effectiveness in a business context. (It would be ideal to have your recommenders confirm that!). In contrast, if your professional background is of shorter duration or less rigor, then the GMAT is going to help you mitigate any doubts in the eyes of the adcom. What’s most important is your test performance. If you believe that you could score, say, 20% higher on the GRE than the GMAT, then by all means go for the GRE. Or if opting for the GRE could mean the difference between being above or below the 80% threshold, then your choice is a clear one. If you’re not sure, then take some practice tests and compare your performance so you can make an informed decision. 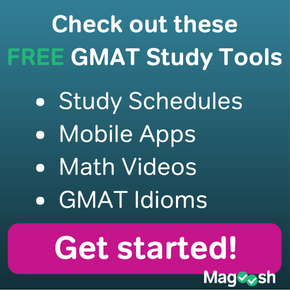 A quick Google search on “free GRE practice test” and “free GMAT practice test” will give you an array of resources. If you find that your performance on practice tests for both tests if sub-par, then it’s time to consider engaging an expert to help you prepare. Options range from comprehensive prep packages from respected, cost-effective online resources like Magoosh to 1-on-1 professional tutors who provide highly personalized and customized guidance on an hourly-fee basis. In any case, your first step should be an objective evaluation of MBA candidacy so you’ll see just how important achieving a stellar test score — whether GMAT or GRE — will be for you. Go for it! This guest post is provided by The MBA Exchange, providing admissions and career consulting services for applicants to top business schools worldwide since 1996.